Being on a 100% Raw Food Diet, I am very sensitive many things — including the air I breathe. It feels so good to me to breathe clean air. Oxygen is essential for the body. It is essential for so many vital functions including brain performance and digestion. Because of this, it is imperative to make sure that the air we breathe is rich in oxygen and that our bodies are ready to make maximum use of this important substance through proper nutrition and plenty of oxygen producing plants throughout your home. 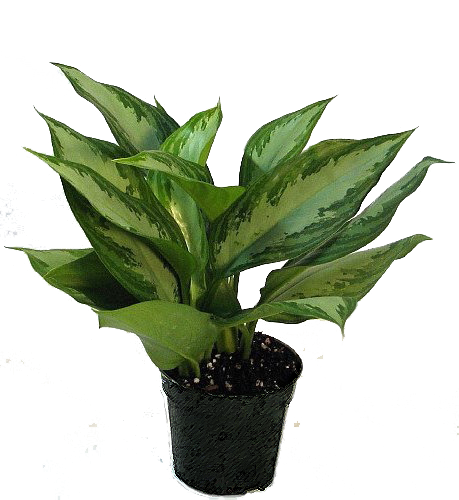 Houseplants are a great way to increase the oxygen present in our homes. Not only do they look great and provide many added benefits, such as stress relief, healing, air purification, and more, they increase the oxygen content in the air in a clean way (1). This added oxygen in the air we breathe, in combination with good nutrition, can make our homes a place of passive healing where cognitive health, muscle strength, and digestion can be improved. Optimal Brain Function The brain uses about 25% of all the oxygen a person inhales, and would die within a few minutes without it. (3) Clearly, oxygen is an essential part of optimizing brain function. A recent study proved that increasing oxygen intake, especially during mentally challenging tasks, increased the brain’s performance (4). Stronger Muscles Every muscle in the human body depends on oxygen to function. Without proper oxygen, muscles become fatigued (5). Increasing oxygen intake will allow our muscles to get more of this vital element, therefore allowing us to perform vigorous tasks for longer periods of time. Improved Digestion Digestion depends on muscle contraction in the stomach and intestines. As stated above, muscles become fatigued without proper oxygen. This can lead to compromised digestive function (6). So ensuring lots of oxygen in the body, we are ultimately improving the digestive function as a result. Having lots of oxygen in the air we breathe is only one part of making sure our blood oxygen levels are sufficient. There are also a number of considerations related to diet and nutrition to take into account to make certain that our body is able to properly utilize the oxygen that it takes in. As raw foodists or overall veggie eaters, there are a few key nutritional considerations that we should be paying close attention to — mainly the intake of iron, vitamin B12, and protein. Your body leverages these, and other nutrients, in order to utilize oxygen (8). Making sure to add a variety of foods, such as a variety of greens and vegetables, sprouts, and seaweeds is key to ensure proper oxygen absorption. 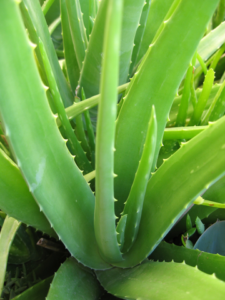 Aloe vera is a great plant for oxygenating the home, as well as boasting many other useful qualities. It is a very healthy edible, particularly great in smoothies, great for healing burns and cuts, and a wonderful skin cream. In addition, it removes formaldehyde from the air. The peace lily is one of the plants noted for removing mold from the environment. This makes it a great plant for bathrooms, laundry rooms and even basements with some natural light. It is happy in low light and thrives on heavy watering followed by long periods of dry. It also filters a very long list of air pollutants. On top of all this, it is a very attractive plant that flowers regularly. The rubber tree is an attractive plant with very large leaves that can grow quite large. It does well in low light with infrequent watering making it a great choice for those with less than ideal growing conditions. Besides being a high producer of oxygen, this plant is very good at removing formaldehyde and other toxins from the air. It grows from cuttings, making it easy to multiply. The ficus is one of the easiest plants to care for. 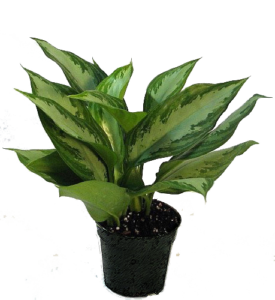 It thrives in low light and can tolerate infrequent watering, and it takes well to propagation and pruning. It works great as a general air purifier. It’s probably an obvious statement, but your local environment has a significant effect on your health. 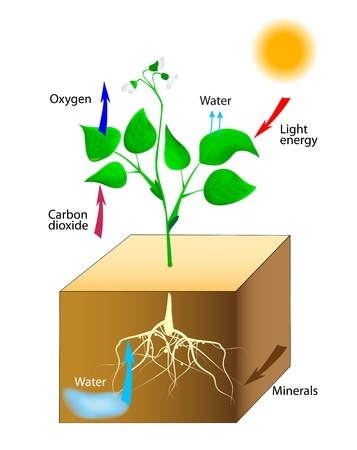 And, while nutrition certainly plays a role, we should be considering the overlap of other factors that affect our daily lives, such as oxygen producing plants. So, head to your local nursery today, grab one of the plants listed above, and improve your air quality and oxygen intake while simply going about your day! Live Strong: How Do the Digestive & Respiratory Systems Work Together? Subscribe to my Raw Food Life Newsletter – Coming Soon!